A lovely warm Carrot Cake Muffin Mix to bake at home. The mix is free of the 14 Major Allergens, please check the ingredients carefully. 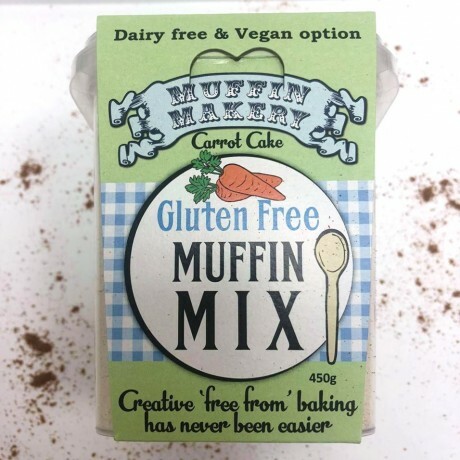 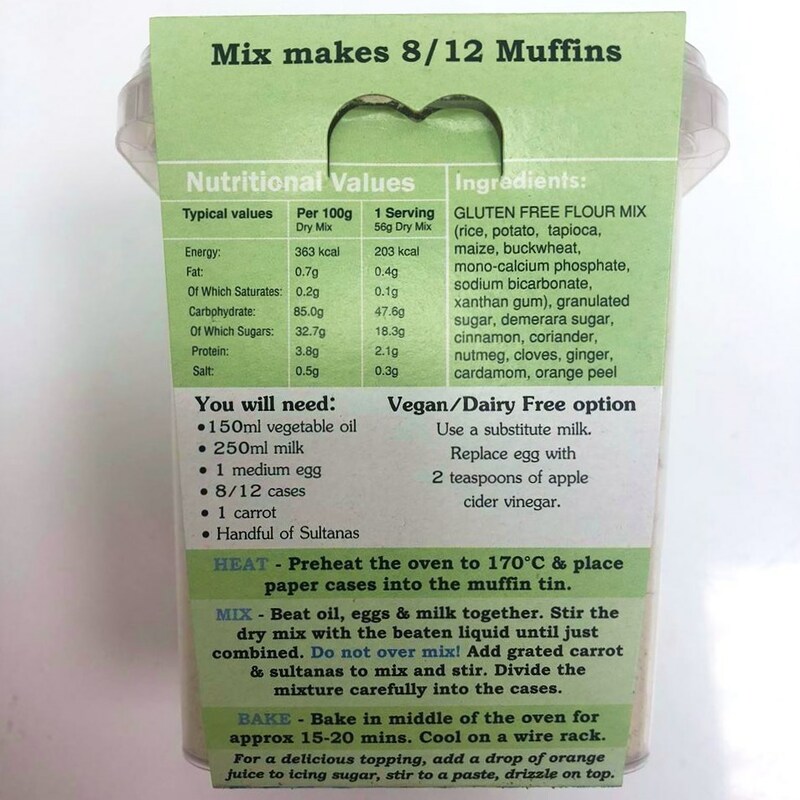 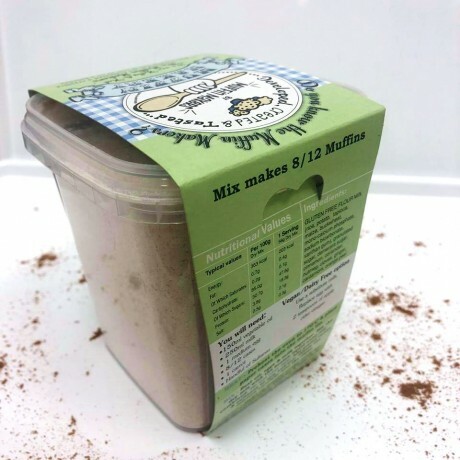 Really easy mix to get lovely fresh Free From Muffins. 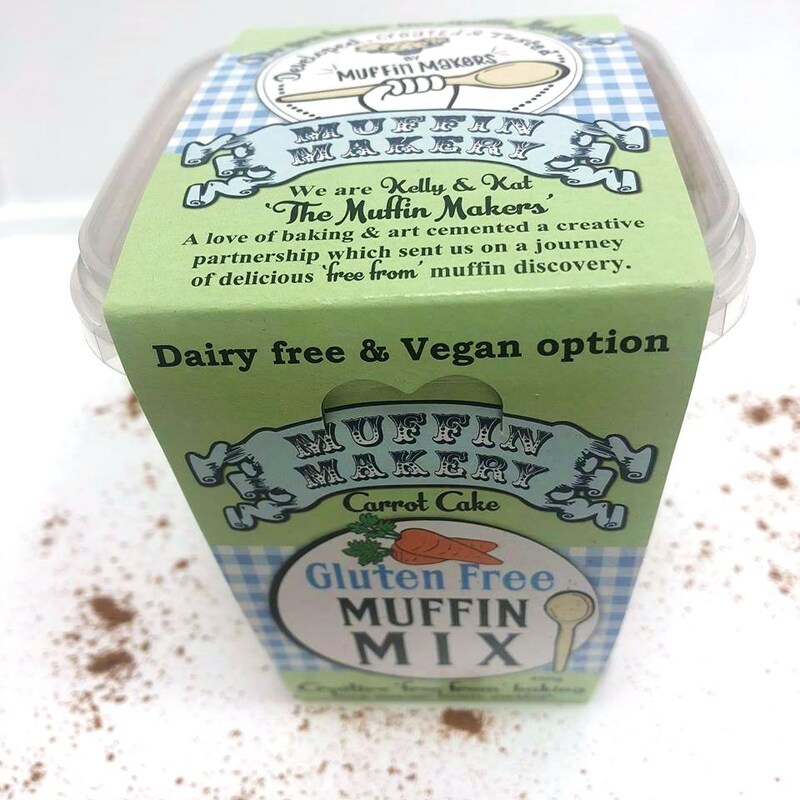 The mix is Free From the 14 EU allergens. The mixes are packed in a designated allergen free room.